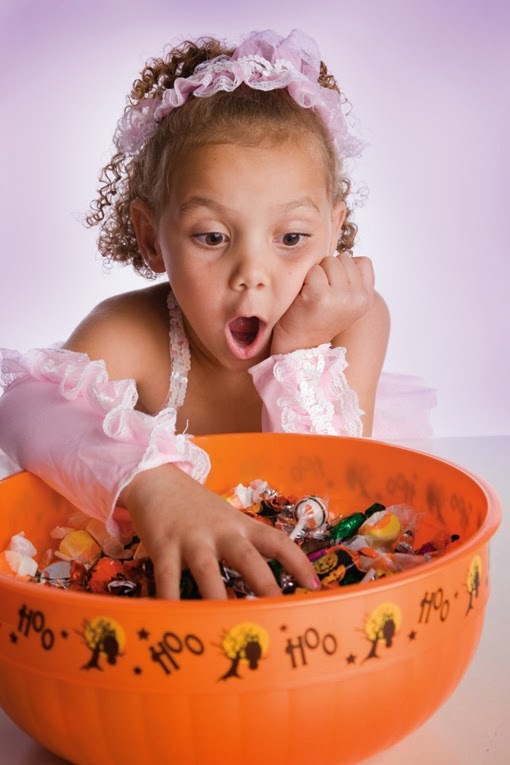 Parents: Let Your Kids Eat Halloween Candy! She was raised in a home where candy and junk food were abundant and readily available, and though she was seemingly healthy and had no health consequences as a result of being raised in a sugar-ridden environment, she wanted to make sure she was a healthier influence on her child, than her parents had been on her. So it goes, in her quest to have a healthy household, she explained that she kept no “sugary foods or junk in the house”, and she tried her best to keep those foods out of her child’s reach whenever possible. She went on to say, “…but I’m so frustrated, whenever we’re at a birthday party or somewhere where sweets are available, he is the first one at the dessert table! I don’t know what to do!” she exclaimed, with confused desperation. Truth be told, I was utterly confused by her state of confusion. Wasn’t it obvious that this child’s obsession was rooted in the constant lack of sugary resources he had available to him? Couldn’t she see that if her son had regular access to the “goods” that she kept at bay, that he really wouldn’t care so much about them when they became accessible in other environments? Though the solution seemed so obvious to me, it took some coaxing to help her understand the repercussions of her restrictive ways. I soon learned that I would encounter many more perplexed parents who found themselves in a similar quandary- wondering why the no junk food for my child rule was backfiring as evidenced by the innumerable empty candy wrappers found hidden underneath their children’s beds. So on the eve, of Halloween I am making the plea to all parents, let your kids have their Halloween Candy! Resist the urge to allow your concern for your child’s well-being force you to make (restrictive) decisions that will backfire and cultivate a rebellious, sugar-sneaking child in the long run. Halloween happens once a year-is meant to be a fun, creative, and celebratory holiday that also includes sugary indulgences, and to restrict a child of that part of it will usually just create more havoc in your household. After Trick or Treating adventures have concluded, engage your child in a conversation about the day as a whole as well as the candy they collected- but don’t make the conversation all about the candy. Ask them about the costumes and decorations they saw. Did anything scare them? Are they excited about the candy and/ or other things they collected? Did they get what they wanted? Do they even care? Go through your child’s stash of candy with them. If there are any items that have known allergens that your child cannot tolerate or if anything looks remotely unsafe, remove those together and explain why it’s not safe for them to ingest. Decide together where the candy will be stored or placed. Do not hide or give away your child’s hard earned candy without their consent- they will either find it- or sneak some out of their friend’s lunch packs the next day! Use this as an opportunity to teach and model flexible limit setting and how to have “fun foods” in moderation. You are still the parent and you can help determine how much and how often it’s ok to have the candy, depending on your individual child’s needs, interest, and eating habits. This is most effective when it’s done collaboratively and your child does not feel like something is being taken away from them or dictated to them. It is absolutely acceptable to say that the candy can’t take the place of meals, but that they can have it as a treat after any or all of their meals- again, based on your discretion. If you have personal concerns about keeping candy in the house because you’re afraid that you may be unable to keep your hands off the goods, please find a way to address these concerns and don’t pass on your issues with food onto your child. Candy and other fun foods are a part of our reality. Trying to avoid these foods and instilling fear in our children does not give them the tools they need to feel confident and in control of their choices when faced with these foods, as they inevitably will, throughout their lives. 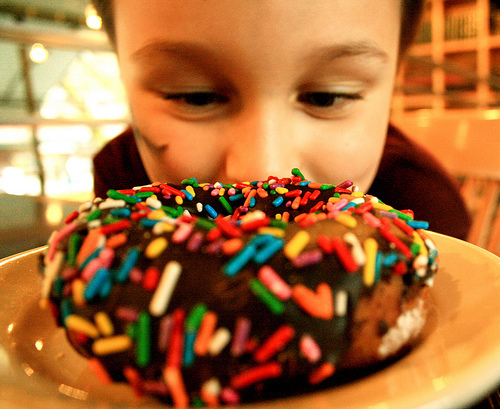 Children who are raised to feel guilty about eating foods they like (whether healthy or unhealthy), grow to be guilt-ridden adults who don’t know how to set reasonable limits and moderate their needs, cravings, and desires in relation to food- that is a big part of what our Obesity Epidemic is about . Please remember that candy and other fun foods can be a part of a healthful and balanced lifestyle, and a great model of normalcy. Just as no one wants their life to be all about work, school, and chores… we also don’t need our nutritional intake to be all about Kale, Quinoa, and Chia seeds! I met with a young man the other day who was recently diagnosed with Ulcerative Colitis. Steven and his parents visited my office so we could discuss how to accommodate the dietary restrictions that have been placed upon him as a result of this condition. As I laid out the range of food choices he no longer had at his disposal, Steven listened, took note, and received the limitations that were set before a surprising level of self composure. Despite his unruffled exterior, I can imagine how perturbed he must have felt to have his life changed, in this way, at 19. For those of you who are lucky enough to be unfamiliar with this condition, ulcerative colitis (UC) is a type of Inflammatory Bowel Disease (IBD). It is an auto-immune disease in which the lining of the colon becomes inflamed and develops tiny open sores, or ulcers, that produce pus and mucous. It’s a condition that has no cure (as of yet), and one in which your body essentially attacks itself- or namely the lining of its intestinal wall. Though chronic, the disease can have indefinite periods of remission. However, in the midst of a flare-up, the symptoms of UC usually include painful abdominal cramps, persistent and uncontrollable diarrhea, and blood in the stools. 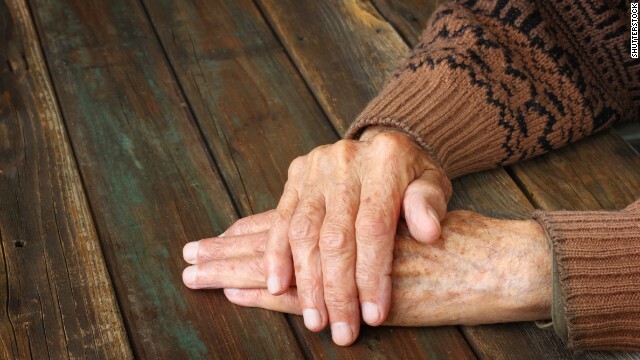 Symptoms are generally (and often successfully) managed with medications and dietary modifications. However, in cases where the first line of treatment is not efficacious, the last resort is surgical resection of the infected part of the colon, referred to as a colectomy. Imagine getting that news the next time you go to the doctor’s office. At 19 years old, this young man’s life has been altered in an incredibly unexpected way. One day he’s an average highschool kid, and next thing you know he’s in college, dealing with a lot more than just frat parties and final exams. Life can really be unfair. Through the course of my career as a dietitian and course of my life as human being, I’ve witnessed the innumerable ways in which the human body manages to malfunction- rarely, with any warning. Yet, despite all the physical and emotional “break-downs” I’ve observed, and all the unfairness I’ve beheld, what I also know to be true is how amazingly and effortlessly the human body can work- ideally, at its best & healthiest. If anyone needs a reminder of that, turn on your TV to the Olympic Games and behold the wonders of the human body. Even for us average folk who have no ambitions of becoming world class athletes our bodies function in a myriad of dynamic ways, (ones we rarely take notice of) each and every moment of each and every day. Take a moment… and a deep breath (those are your lungs at work), and notice all the wonders of YOUR body in this very moment. When was the last time you paid attention to any part of your body that was not in pain or that you weren’t trying to change? If you’re like most of us, it’s probably been way too long. If you don’t take this opportunity on a regular basis, please take it now… notice all the parts of your body that are functioning, effortlessly, without pain- in this moment. 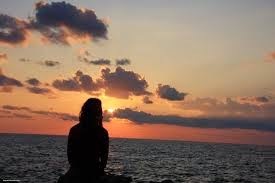 Your legs, did they accompany you to the place you’re sitting now, without pain? Your knees & hips, are they your original parts or replacements? Your tummy, are you worried about the extra layer of fat you wish you could get rid of, or can you take a moment to feel grateful for all that it digests for you each and every day, flatulence included! How is your back? Are you able to bend over to put your shoes on without getting stuck in that position? If so, congratulations! If you’re reading this now, well, please be thankful for your eyes and for the fact that someone taught you to read along the way. If you do have any injuries or medical conditions, I probably don’t need to remind you that life is unfair and that having all your parts in tact is such a luxury! I can only imagine how badly you wish you could have your “old body” back. We spend so much time trying to change our bodies, lamenting over all its little exterior flaws that we forget to take note of all that we have working in our favor… healthy intestines and all. It’s no big deal I guess. We’re all entitled to take things for granted- and in reality we all do. I wonder though, how it might change the course of your day and your even your life if (in addition to fantasizing about all the things you want to change) you take just a few moments to pay homage to your body and all its little parts: the beautiful and ugly parts combined-the bones, muscles, joints, connective tissue, organs, arteries, skin (natural or botox’d), hair, nails, fat and all! The parts that are drooping and the parts you will miss seeing in their original positions one day. It will ALL change…. better to take notice now before they do. Oh how I wish someone had given me this advice when I was 19, maybe it would have saved me all those years of agony over the harmless dimples on my thighs! I wonder if Steven, and other individuals living with UC, used to notice and appreciate the ease with which they were able to eat a meal or get through the day (prior to the onset of their symptoms), without pain or discomfort, or concern regarding the location of the closest bathroom at any given time. I wonder how he feels now, about his body. Does he lament this condition? Does he now have a greater appreciation for all that remains well and healthy? These parts of ours, they are all loaner parts, and are not ours to keep forever, if we’re lucky they won’t break down much before we have to give them back…. 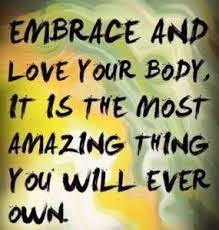 My challenge to you: Start and end each day by considering 3 things about your body that you appreciate- each day and every day, at least for the next week. It’s a lot more fun if you can do it without your body having to remind you. Hey, what have you got to lose…? Well, actually, that remains to be seen. As a nutrition therapist, one of the ways that I practice what I preach, with certain clients, is by sitting down and having meals with them. Modeling what it means to be a normal, healthful, and balanced eater is a very important part of our relationship - and that means that we will eat whatever needs to be eaten, together (from Pizza to Kale to Chocolate cake) until that particular food can be experienced as normal, safe, and simply food. Meal sessions are intended to help introduce, what is discussed in sessions, into each individual’s personal reality. For some people this is a fairly easy and simple process, and for others it’s quite challenging and anxiety provoking- thus, my job: to help work through those anxieties and get to a more peaceful place with food. In an ironic twist of events, this week, for the first time, I found that I was the one squirming with discomfort at a meal. I felt terribly as I sat across my client, knowing that I was not being the supportive model of normalcy that I generally am…Though I knew I was failing her, I simply could not get myself to eat more than a couple of bites of the delectable looking waffles (pictured above), that I had intended to eat- in full. Let me back up a bit…. the challenging waffle experience I am referring to involved my client, a lovely woman who I’ll call Jill. Jill and I agreed to have this meal together, in my office, so that we could work on “normal eating”- which in this case meant: being able to complete 2 regular waffles + the fixings she normally added, together, for lunch. No big deal, right? 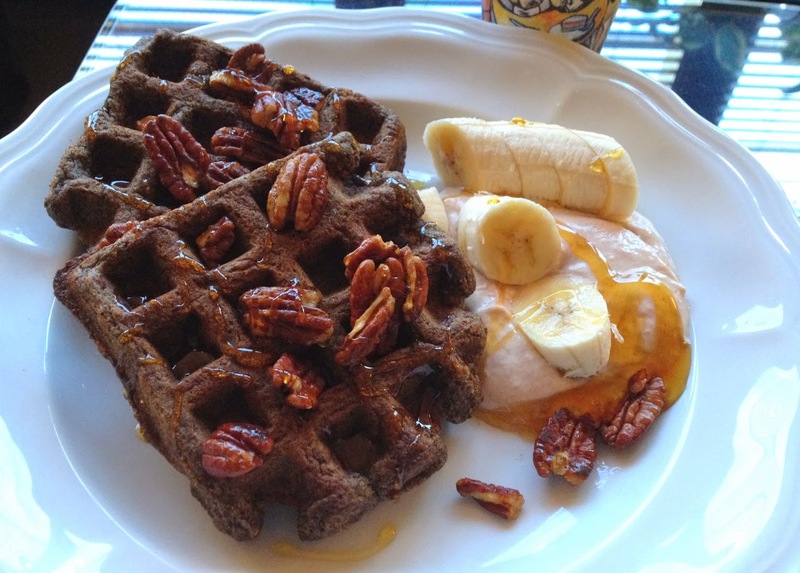 Well, it all sounded routine enough until I was informed that the doughy, buttery, buttermilk waffles I had been anticipating were actually substituted with two extremely dense Vegan, Gluten-Free, Buckwheat Waffles… with a side of goat’s yogurt à la mode! I tried to keep an open mind… “How different or bad could they be? Jill seems to love them,” I thought to myself. For the first time I felt the tables had been turned as I watched Jill comfortably consume her food in a seemingly enjoyable manner, while I sat cringing, trying to convince myself to take another bite of the earthy dense bitterness that sat before me. Though I am all for healthy alternatives, this went beyond my palate’s threshold for acceptable substitutions. In staying true to my no B.S. policy, I could not fake it and I could not stomach another bite of those waffles either. As I sat with Jill, I was incredulous as to how someone who is not vegan, nor has a gluten allergy, could subject herself to such a displeasing meal, and why?? Situations like this are all too familiar nowadays as people on a quest to be “clean and healthy eaters,” start labeling foods that are perfectly healthful and delicious as vilified offenders. Also, I do understand and strongly encourage individuals with known food allergies to avoid foods containing those particular ingredients that they are indeed allergic to- whether it be gluten, dairy, nuts, or anything else for that matter. However, there is a stark difference between restricting oneself because of emotional discomfort vs. the dire physical discomfort and medical consequences that will ensue due to actual food intolerances. That being said, I can appreciate and recall all too well how easy it used to be for me to convince myself that I absolutely adored certain foods that tasted absolutely ….well, not so delectable. In my late teens and early twenties, when I had my own eating problems I convinced myself to eat and “enjoy” lots of things I would never go near now (fat-free baked goods, non-fat rubbery cheese, dry tasteless egg whites, yuk!). I also convinced myself that many of the foods I relished were bad, fattening, and unnecessary. I made myself believe that going to the gym 2-3 hours each and every day, was not only necessary and but fun too! .…and that all those people who thought it was excessive were just plain lazy! Unfortunately, I also had countless people who admired and encouraged me for those behaviors, which only further validated my distorted thinking that I was doing a good thing- the right thing! Yes, I really bought into it. All- Of- It. I drank the Kool-Aid because like so many, I was afraid and didn’t know how else to feel ok in my body, and when good enough was actually enough. I felt completely helpless about how I could control it-as though my body was a voracious beast that needed any controlling at all. That’s what brings me the most remorse- that I bought into the myth and wasted so much of my precious time and energy ruminating about calories, my body, and all the days, hours, and minutes spent at the gym. Like the previous, younger version of me, so many of the men and women I encounter believe that if they can eat just enough “clean foods”, if they can work-out enough, get their bodies under control enough, then finally everything will be ok, and all the Vegan, Gluten-Free, Buckwheat waffles and the hours spent running, spinning, and sweating will have paid off. But it never does. Does it? If it ever did, in fact, pay off people wouldn’t continue to chronically struggle and diet and restrict themselves. They wouldn’t continue to fear the wrath of hunger when it surfaces from the underbelly of their concaved and toned abdomens. Let’s consider how it is that so many young and old, talented, informed, ambitious, creative, evolved, male and female minds have been deluded by the warped ideas about food and a quest for thinness. All of which is pursued under the guile of “privilege” rather than it’s organic form as: Deprivation. We have been brainwashed into believing that we will be better for it, healthier for it, happier for it- that others will love us more for it… for all the restriction and hunger we have endured, are we anything more than hungry, for it? Far too many people have bought into the idea that being able to control or dismiss one’s appetite is a skill or talent rather than what it simply is- abusive. The notion that withholding needs and pleasure from ourselves is somehow a virtue in our culture seems very similar to the religious propaganda used to indoctrinate impressionable minds in other cultures. In particular, I think of how Islamic women are convinced that donning a burka is their right and privilege as honored and protected women. They too have come to believe that by covering themselves from head to toe, and concealing their bodies, that they are somehow better off for it, will be more fulfilled and honored in their lives for it- that they will make others happier for it. I do not judge it; I just question whether or not it’s true. I imagine the majority of women in the world gawk at the imposition of having their privileges and bodies veiled. They may even feel pity when crossing paths with other women covered with a burka. Yet the idea of veiling their needs and reducing their hunger down to an acceptable size or a number on a scale seems perfectly sensible. It’s not a simple process to untangle. In fact the process of reclaiming our freedom and our hungers and the privilege to be in a body- a body that is healthy, mobile, and intact, with needs and desires that should indeed be acknowledged, is quite complex. Nevertheless, it is a process worth enduring and a freedom worth attaining. For every bite of yummy goodness that I am able to enjoy without remorse, for each day that I am able to appreciate my body for all that it’s done and all that it will continue to do, and for each moment that I may glance at my body and actually feel pleased rather than disgusted at what I see- I am grateful that I endured my own personal process and have come out the other side of the veil. Parity Law Victory will compensate those denied for Nutrition Counseling. So why is Lena Dunham naked? To remind the high schooler that there are all kinds of bodies out there -- not just the ones she sees in magazines and ads. To remind the 20-something that there's no shame in having thighs that touch. How Do I Know If I'm Still Hungry or Full? If you've ever spent time with a baby, and paid attention to their feeding habits, you've witnessed how unmistakable hunger and fullness signals can be. When they are hungry, nothing but food will pacify their cries, and once they’re full, their mouth is sealed shut like a steel trap door! We are all born with these intuitive cues, and by the way, we all still have these signals as adults. In fact, and they never go away… but for some people, they get buried under a pile of other things that we’ll call “distractions” for now. Unfortunately, if hunger and fullness signals are ignored long enough trying to heed their cues may feel like trying to follow a GPS system in a foreign language. Confusing, right? If these signals are so innate, what went wrong between birth and that first overeaten meal? Most likely, something or someone started distracting you from those intuitive cues, and/or telling you that you were wrong about them, and pretty soon you stopped paying attention to them all together. Whether it was a well-meaning parent encouraging you to “finish your food,” the guilt you tend to perseverate over because you’re not following your diet plan, or a TV screen keeping you company during a meal, any form of on-going distraction from your body’s intuitive signals will create a sense of internal dissonance. When your attention is diverted (at meals times), the distinct and subtle cues that your body sends to your brain to let you know that you are full, satisfied, and ready to move on, (thanks in part to a hormone called Leptin), do not get detected. In other words, your belly is politely trying to tell you you’re full, but your brain is ignoring it because it’s distracted by different conversation, and so you keep on eating and eating until either there’s nothing left to eat and/or you are intolerably stuffed and somewhat miserable. Enough suffering. How about we get you re-acquainted with your hunger and fullness signals? After all, they are available and ready to help guide you. Those signals act as your internal navigation system-and as long as you listen, no other GPS system (i.e. D-I-E-T) will ever be needed. 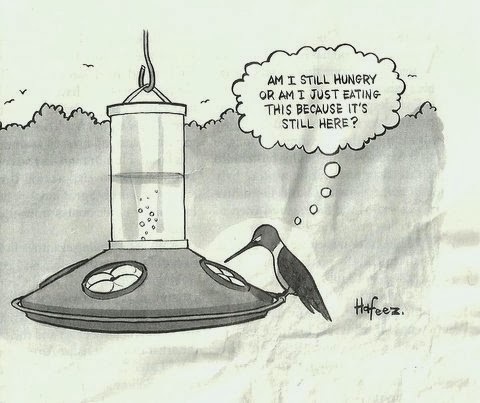 Hungry 1- Starving, dizzy, insatiable appetite. 2- Very hungry, irritable, unable to concentrate. 3- Hungry (ready to eat a meal). 4- Beginning signs of hunger (may want a snack). Neutral 5- Neutral, neither hungry nor full. 6- Comfortably full, though not completely satisfied. 7- Comfortably full & satisfied. 8- Slightly over full- had a couple bites too many. 9- Uncomfortably full, feel stuffed. Full 10- Stuffed to the point of feeling sick. Each time you are about to begin eating make note of your hunger level, and then continue to pay attention to how it moves towards fullness during the course of the meal. Ideally, begin eating when you notice you are at level 3 or 4, and stop when you notice you’re at level 6 or 7. Do your best to avoid the polar ends of the spectrum, as one end often tends to rebound to the other. Next, take the 1-week NEWD Challenge- (No, this does not have anything to do with getting naked). NEWD: Not Eating With Distractions. For 1 week, commit to eliminating any distractions while you eat, (i.e. TV, computer, phone, or any reading material) and simply pay attention to the taste, texture, and your experience of your meal and body (this is also known as Mindful Eating). This is very simple process, but not necessarily easy one. In fact most of my clients (initially) hate me for it… At first, they start to notice all sorts of feelings they had never noticed before, including how angry they are at me for “having taken their TV away.” Eventually though, they also notice other things, like how much less they need or want to eat before they feel satisfied and full. After the initial protest, I promise the process will become easier and more natural, and you will be blown away by all the things your body has been trying to tell you all this time- that have gone unnoticed. C’mon, give it one week… if you don’t notice a difference in the communication between you and your body- and, how much you’re eating, you can always turn the TV back on. These changes will create huge changes in your relationship to food and help you reconnect to the intuitive signals you were born with, and hunger and fullness will no longer be a guessing game for you. Feel free to share any experiences or questions along the way…. Question: How Do You Decide When to Stop Eating…..? This is not a trick question… but for many, answering this question is can be pretty complicated. Stopping when comfortably full, (which is the right answer by the way), is often an even more complicated process. It sounds so simple, right? Eat when you’re hungry, stop when you full. So why is this “simple choice” so difficult to make? Due to a myriad of reasons people often intentionally or unintentionally eat to the point where they feel stuffed, guilt-ridden, and even sick. Of course, everyone has their own motivations: maybe they were taught that not finishing their food was wasteful, or they simply don’t want to stop because the food tastes so good, or they feel antsy if they aren't eating when people around them still are.…. whatever the reason… Eating beyond what your body is comfortable with will never do your body any good. Would you like dis-engage from the habit of unconscious overeating, and instead feel happily and comfortably full at the end of your meals? Stay tuned over the next few weeks as I offer up some simple tips on how to get attuned with your body’s hunger and fullness cues (which, by the way, are your body’s natural portion control mechanisms). Tip #1: Start paying to your body’s signals (of hunger and fullness) rather than what your head is telling you. That means, if your belly is full, but you feel guilty about not finishing everything on your plate… listen to your belly and stop. If your belly is full but your mouth says: “Mmmm, don’t stop, this is so yummy, listen to your belly and stop- (and remind yourself you can always have some more later). If your belly is full, but you feel guilty about wasting money, listen to your belly and stop- (and keep in mind that you won’t be saving money in the long run once you decide you need to spend more money to figure out how to lose the weight you gained because…. You didn't listen to your belly. Quiet your mind, Listen to your Belly, and Savor each bite, as long as you have room! I look forward to continuing this discussion and hearing about your experiences. Next week: HOW DO I KNOW IF I’M STILL HUNGRY OR FULL ?